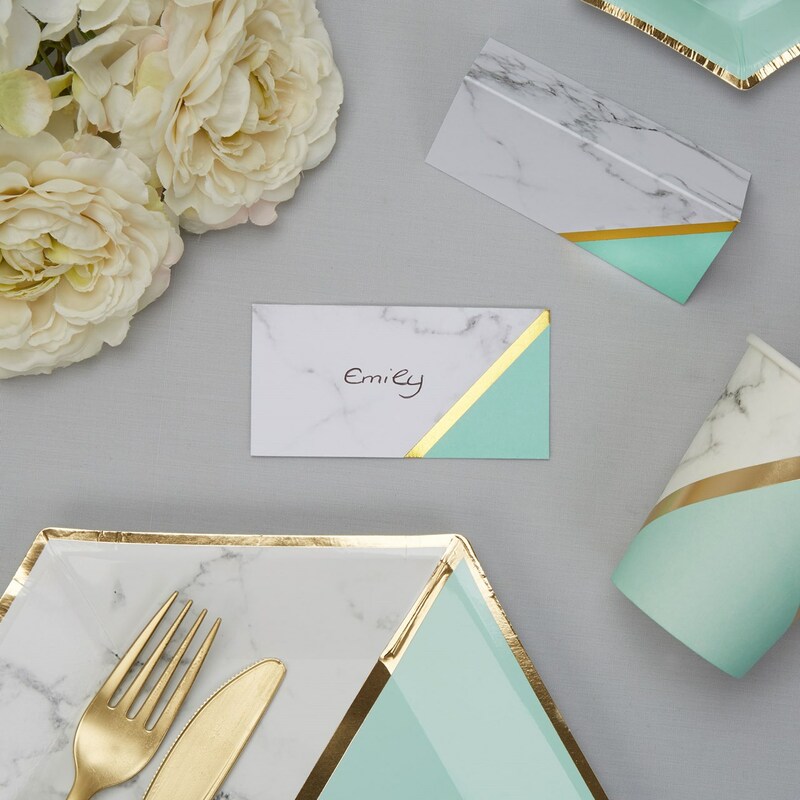 Dress your tables with these gorgeous place cards from our Colour Block Marble collection. A sleek design blends classic white and grey marble with a slash of gold and a corner of mint green to create a cool and retro-tinged look your celebration. Made from high quality card and can be used for weddings, birthdays or other celebrations. Each pack contains 10 Place Cards.